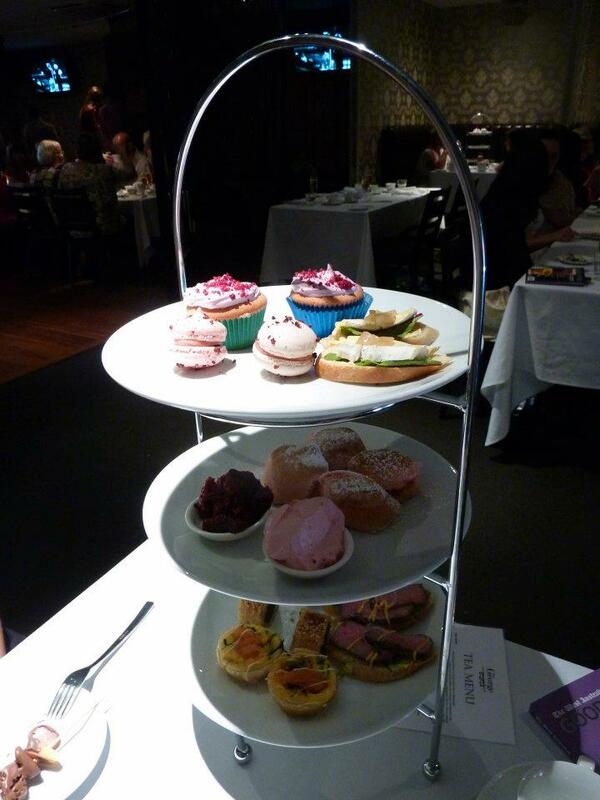 I love going to High Tea. Its a wonderful way to spend an afternoon and gives you a couple of hours with a cuppa in hand to catch up with your friends. 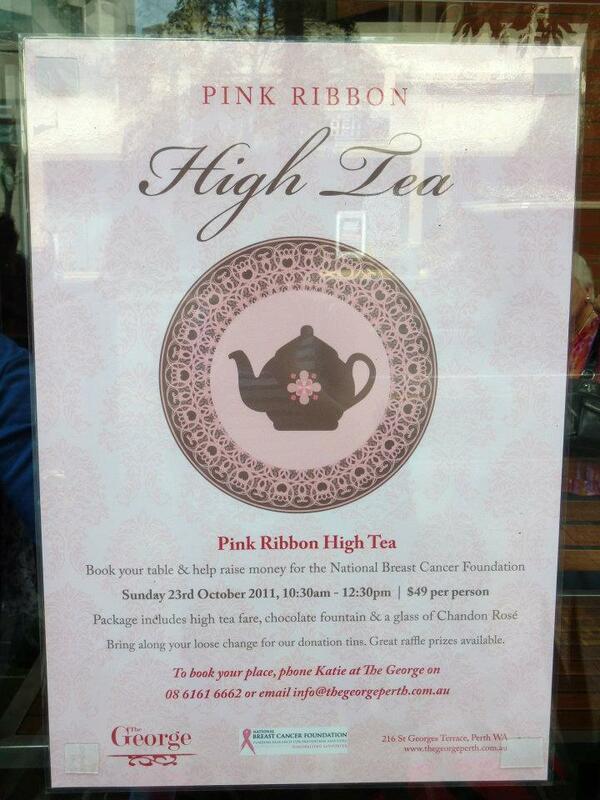 The George holds High Tea every Saturday and Sunday afternoon but this particular Sunday they were holding a special High Tea as a fundraiser for the Breast Cancer Foundation. So many ladies (and a few gentleman) donned their finest and headed along. I was lucky enough to have the company of my good friend ES. 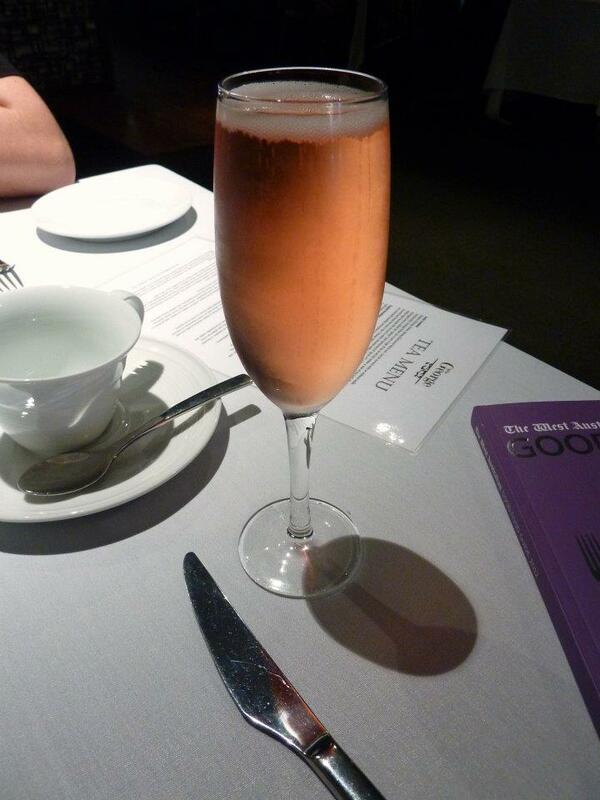 The menu sounded enticing and we were given a glass of pink bubbles on arrival, it was sure to be a delightful afternoon. 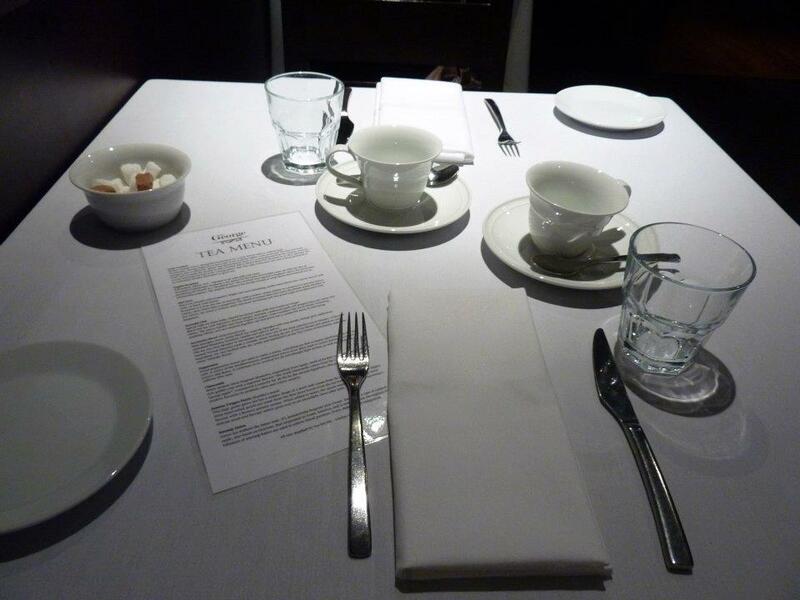 We perused the available tea selections and each decided of a delicious sounding flavour that piqued our interest. While we waited for the food to be brought around we were about to satisfy our appetites by partaking in the chocolate fountain they had set up. 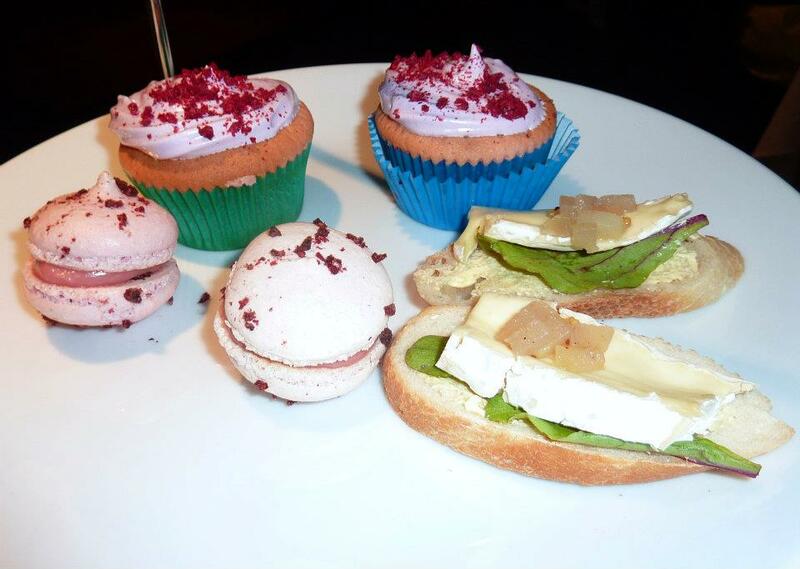 It was entirely decadent! 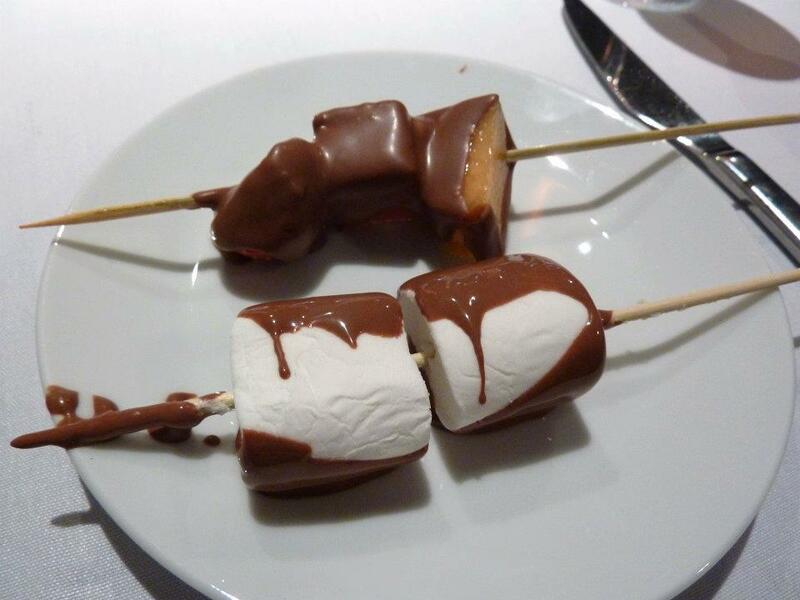 Especially marshmallows covered in chocolate – such an intense sugary hit. The fresh fruit helps break up the sweetness to an extent, but with marshmallows its sweetness all the way! 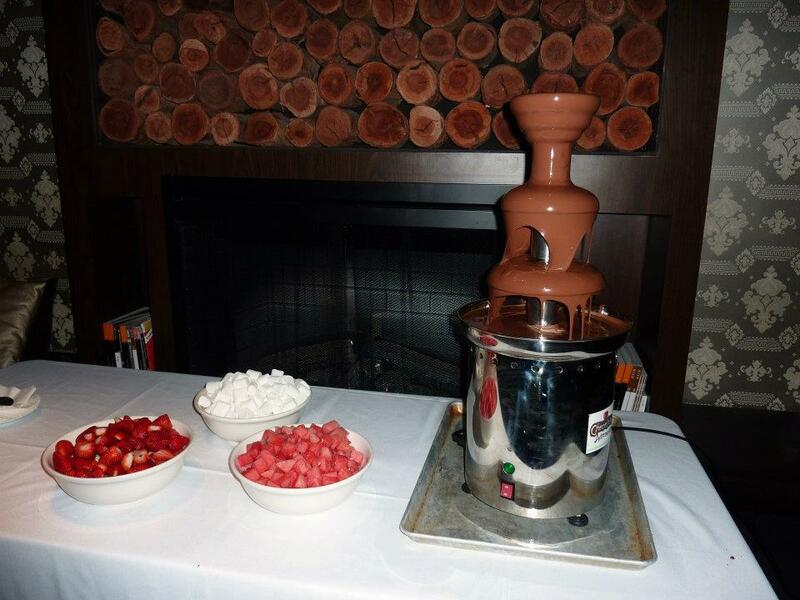 We were quite restrained with our indulgence on the chocolate fountain front and this proved a wise move. The tower of tasty treats that we were presented with posed a challenge of sorts. A challenge in that we wondered whether we would be able to do it justice! It was a very generous amount of food. 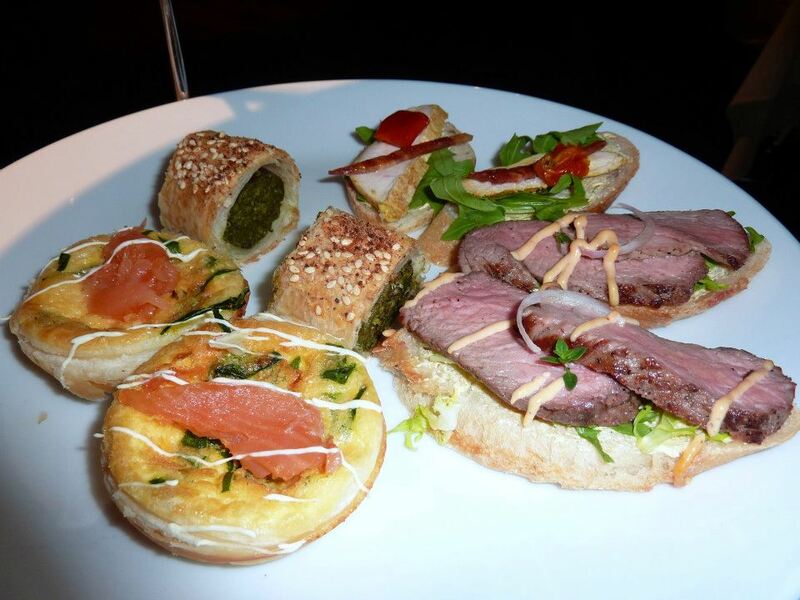 The bottom tier was adorned with savouries – little quiches with smoked salmon, spinach and ricotta sausage rolls and also dainty slices of baguette with tasty toppings – all very fresh and flavoursome. 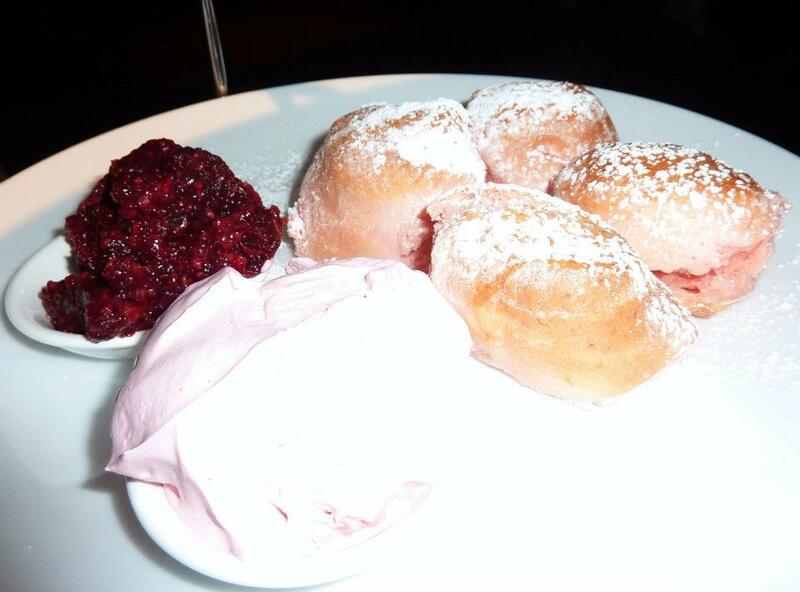 The middle tier, in keeping with the pink theme were perfectly pink scones, with raspberry jam and equally as delightful pink cream. 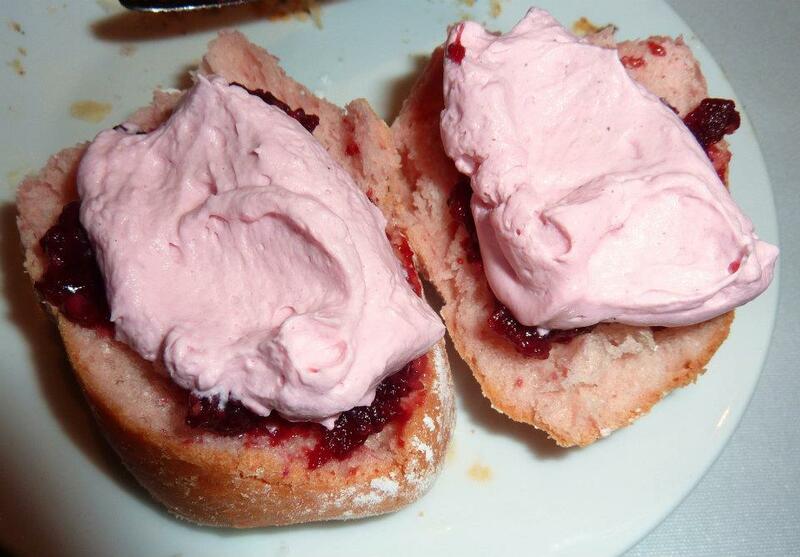 I really enjoyed the scones, with their generous lathering of jam and cream. I was very impressed with this special event. They put together a wonderful morning with a vast array of delicious food (I don’t think anyone left hungry!) and it helped to raise money for a very worthy cause and finally provided a beautiful backdrop for a catch up sesh. Well done to The George!